Hurry up!!! 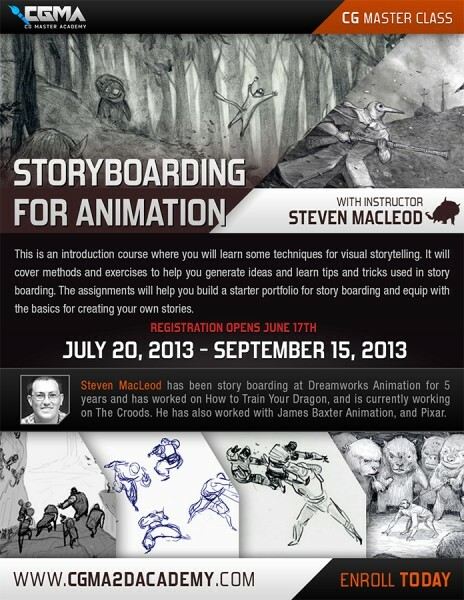 Only few seats left for the best online Storyboarding and Character design classes. I attended both last year and will highly recommend them! Nate and Steve not only have packed some great informations in their lectures, they also do great weekly demos. One thing I want to mention about Steve’s class. It is not only a class on Storyboarding but also a class in Story. If you ever wanted to make short films or just get involved in the story process, this is the class for you. I can’t believe there are still any seats left. Both Nate and Steve went to Calart, got jobs or Internships at Dreamworks and Pixar. You are basically paying for a proven CalArt class at a fraction of the cost….